The Synod of Hippo refers to the synod of 393 which was hosted in Hippo Regius in northern Africa during the early Christian Church. Additional synods were held in 394, 397, 401 and 426. Some were attended by Augustine of Hippo. The synod of 393 is best known for two distinct acts. First, for the first time a council of bishops listed and approved a Christian Biblical canon that corresponds to the modern Roman Catholic canon while falling short of the Orthodox canon (including the books classed by Roman Catholics as deuterocanonical books and by Protestants as Apocrypha). The canon was later approved at the Council of Carthage pending ratification by the "Church across the sea", that is, the See of Rome. Previous councils had approved similar, but slightly different, canons. The council also reaffirmed the apostolic origin of the requirement of clerical continence and reasserted it as a requirement for all the ordained, in addition requiring that all members of a person's household must be Christian before that person can be ordained. Rules regarding clerical succession were also clarified at the Synod, as well as certain liturgical considerations. The Acts of the Apostles, i. book. The Epistles of Peter, the Apostle, ii. The Epistles of John the Apostle, iii. The Epistles of James the Apostle, i. 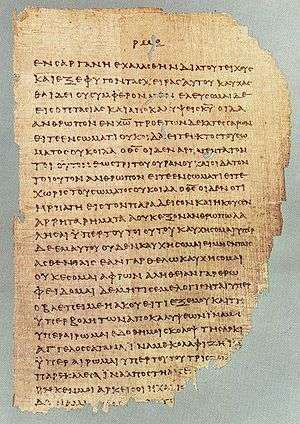 The Epistle of Jude the Apostle, i. The Revelation of John, i. book. In the De doctrina christiana, Augustine explains the relation between the two books of Ezra/Esdras and its separation with the Chronicles (partly included in the Septuagint's 1 Esdras): "...and the two of Ezra, which last look more like a sequel to the continuous regular history which terminates with the books of Kings and Chronicles." ↑ Augustine of Hippo. On Christian Doctrine. Book II, Chapter 8.